Unlike a savings account, a certificate of deposit funds are invested for a set time period and interest rate. There can be a stiff penalty when the funds are withdrawn early. 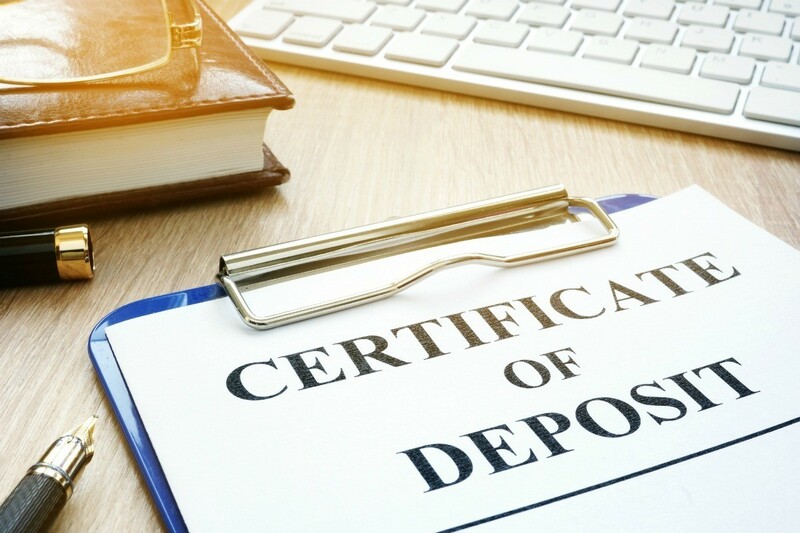 This is a guide about investing in certificates of deposit (CDs). Make sure you check with whoever is holding your CD at maturity. If you do nothing, the financial institution could transfer your CD to a saving account rate, big loss of interest and still tie your money up for an extended period of time. They almost got me on this one. The teller said "You snooze, you lose!". I cashed the CD in and I'm heading for the Credit Union. Very good advice. They DID catch me last year, now I have to wait until 2009 to make a change. My bank sends me a notice when my cd is due to expire and that the rate may change to a bit lower if I do not respond. So I wait till the day they indicate, walk the five blocks to the bank and in five minutes or less, have the better rate. I found out that on larger amounts of money, CD Rates can be negotiated. They have a margin they can work with. They don't tell you this. I had two CD's coming due out of state and on the due date got the new renewal rate and shopped it locally. Negotiated with a local institution, then called the other institution back while in their office telling them I was going to redeem the CD unless they could meet the rate I could get locally. They did say they could increase the quoted renewal rate, but they could not match the rate quote I got, they have a certain margin to work with. When CD's are coming due, check all institutions and keep ads. When talking with the bank representative for their rates, then you can ask if they can match other ads. Sometimes they have to check and get back with you, and had them call me back and say they could give me a little higher rate than what I asked if they could match! 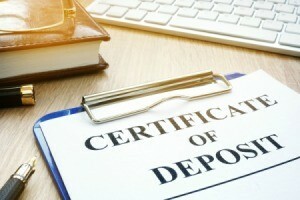 I would like to know whether to buy Certificates of Deposit in large amounts, or would it be better to split the money up that you have to put in CDs? Sometimes you can get a better rate for larger amounts but really think about whether or not you might need the money or when you might need it, for an emergency or for something you will need to buy. The length of time is also a consideration. You can usually get a higher interest rate for 1 year than 6 months. Invest it in several CDs of different amounts and varying lengths of time. That way if you need to cash some of them in, the penalty will be on smaller amounts. There's always a trade off in the amount of the CD and the highest interest rates. You can use both to your advantage. Rose is right about the amount of deposit that is insured. Always keep that in mind. If you are dealing with large amounts of money, split it up between several banks so if something should happen to one of them, none of them has more than the maximum amount insured. Could someone explain Laddering Certificates of Deposit (CDs)? I heard a little about it on talk radio but didn't catch the whole conversation. Laddering of Cerificates of Deposit (or laddering of bonds) is the use of various dates of maturities; for example: if you have $6000 to invest ,you would invest $1ooo each month in a 6 month Certificate of Deposit . After you have invested the entire $6000 ($1000 each month for six months), you then will have a Certificate that 'matures' each month and it can be 'rolled over' into a new Certificate or you can 'take the cash' (plus interest) if you need the money that month. By laddering, you don't have to wait four, five, or six months to get your money if a cash problem comes up suddenly one month! If you have to cash in a Cerificate 'early' there would be a financial penalty assigned to your Certificate. Another advantage of spreading your investments over time, especially when rates are changing, is that they often get differing interest rates. Hopefully rates are going up, so investments will get more interest rather than if you'd invested it all at one time at a lower rate. Laddering is usually done over a span of one year.If you have $6,000 to invest you buy a CD every other month.When they come due you would have the option of taking the money or reinvest every other month vs putting $6,000 in the first 6 months and have no CD due for the other 6 months.